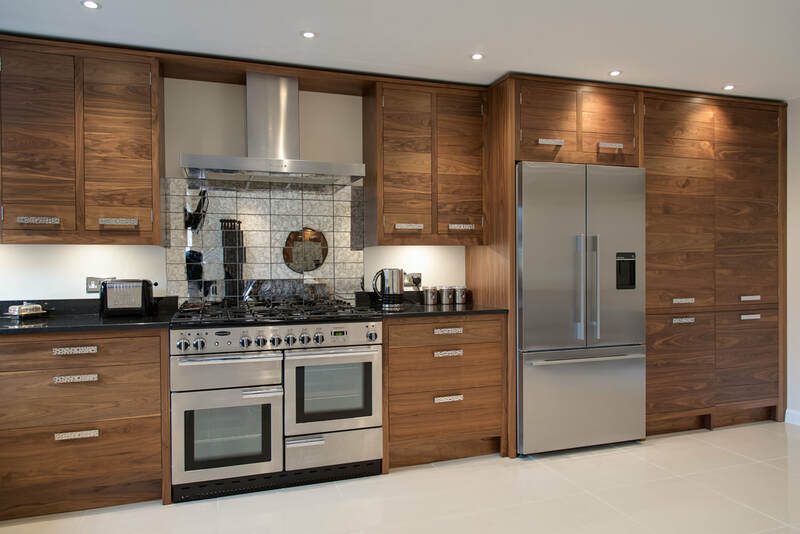 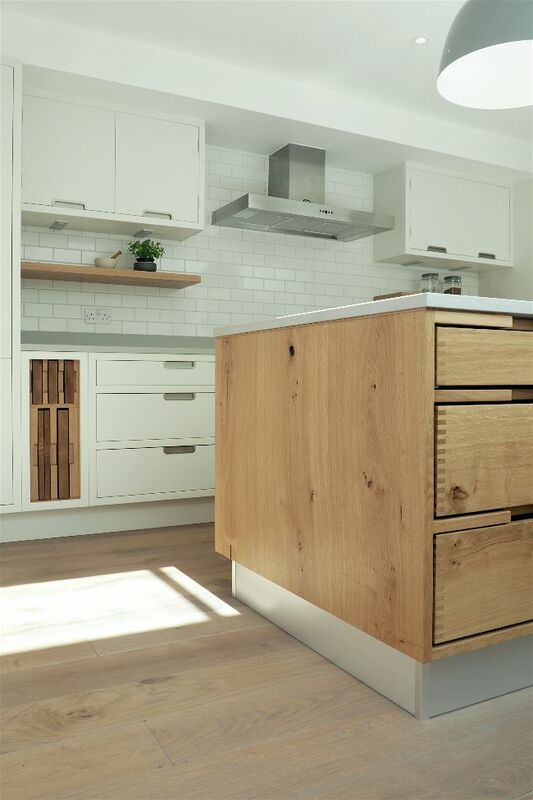 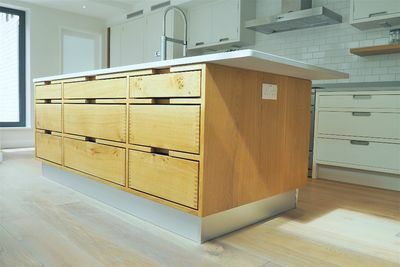 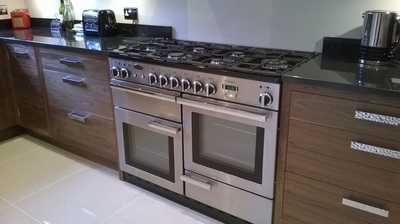 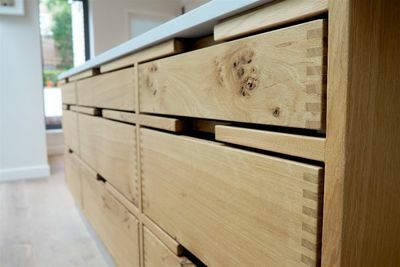 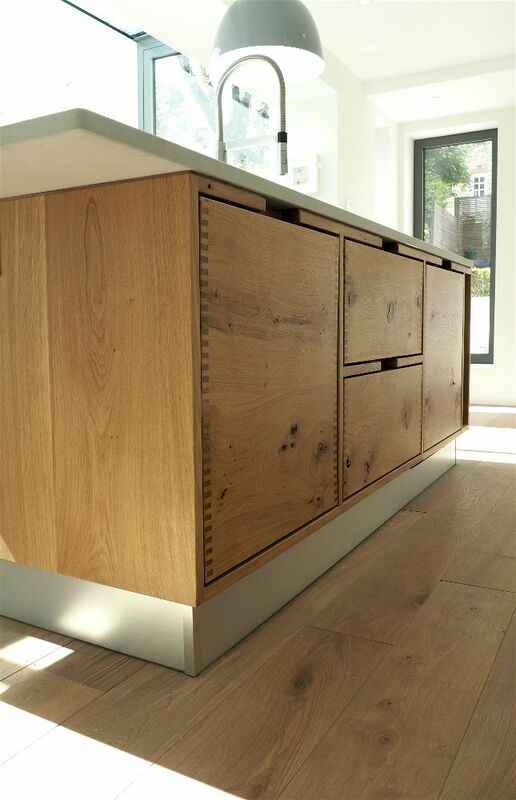 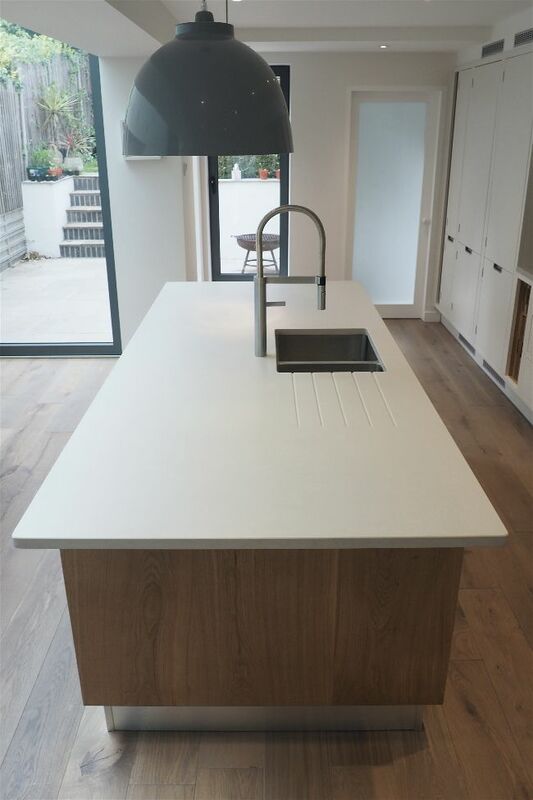 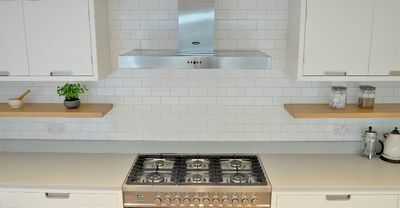 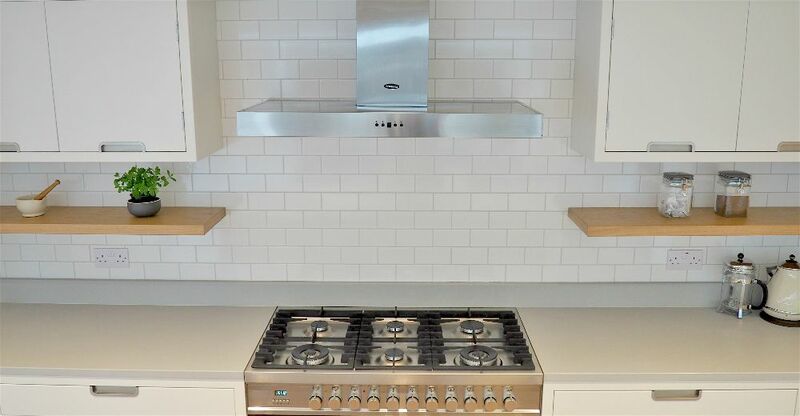 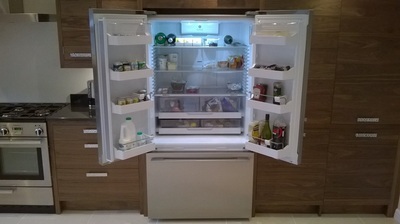 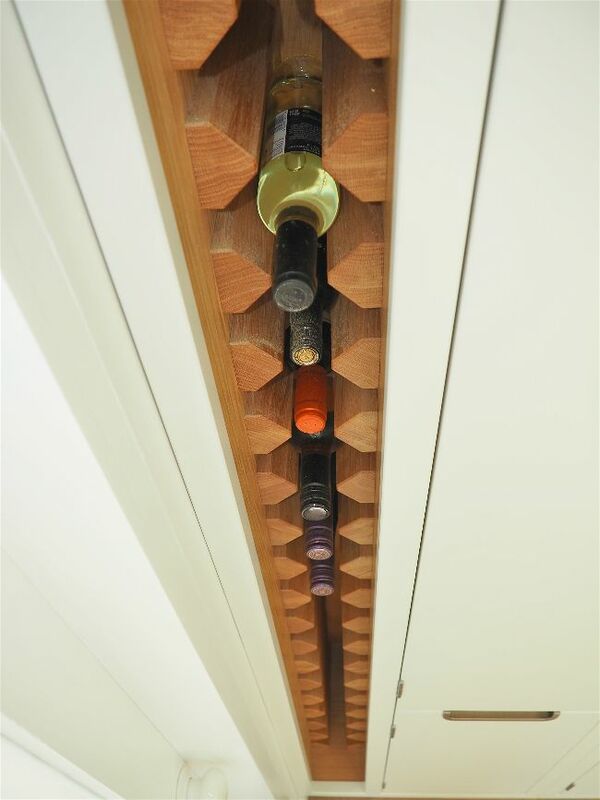 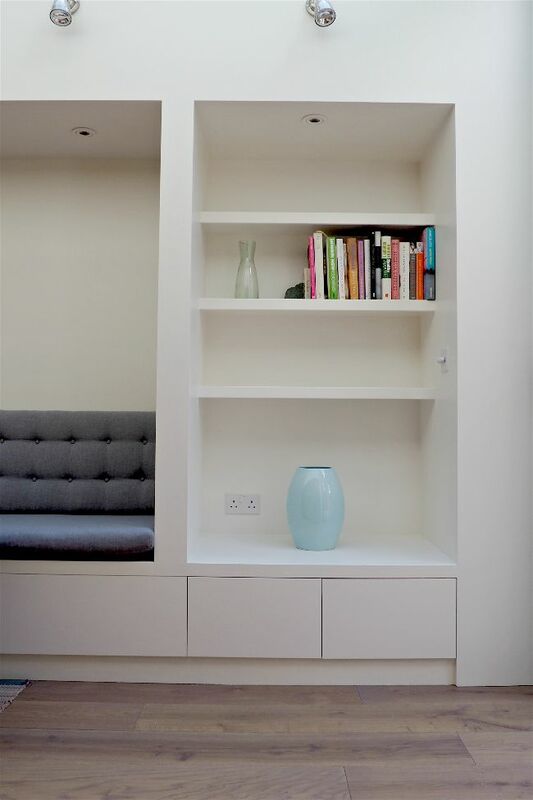 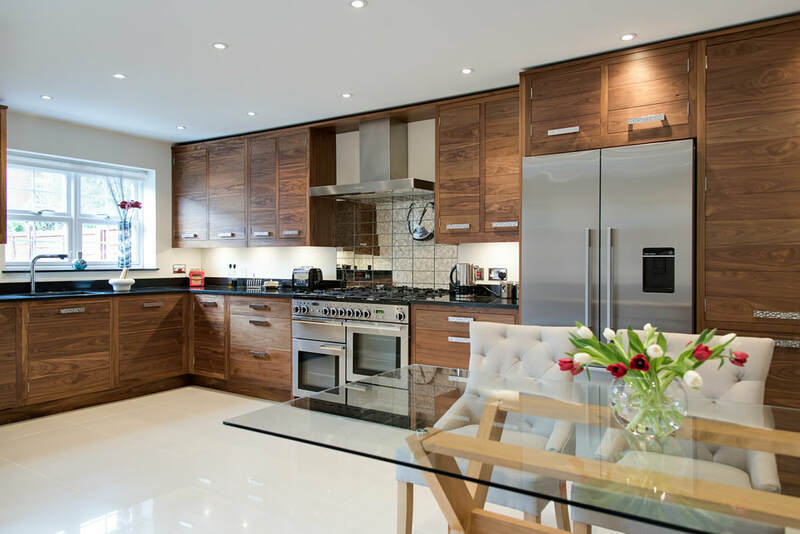 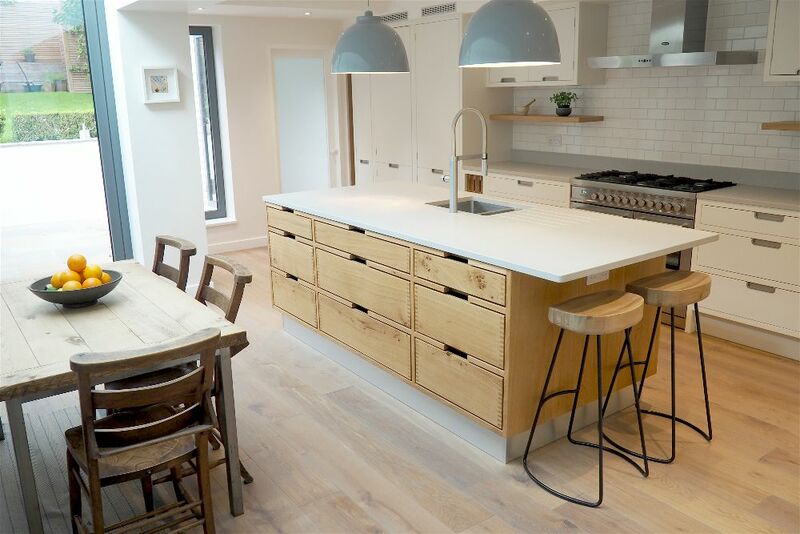 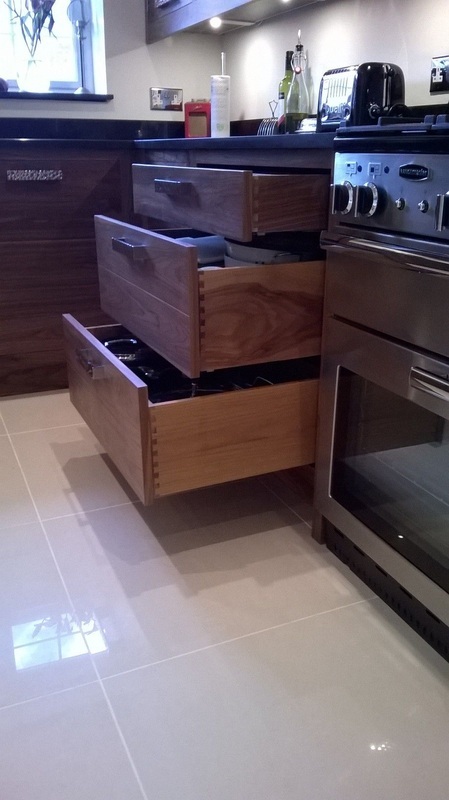 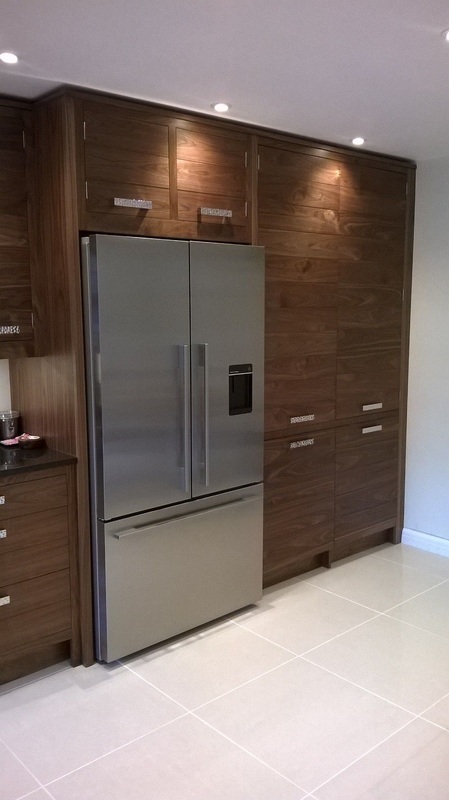 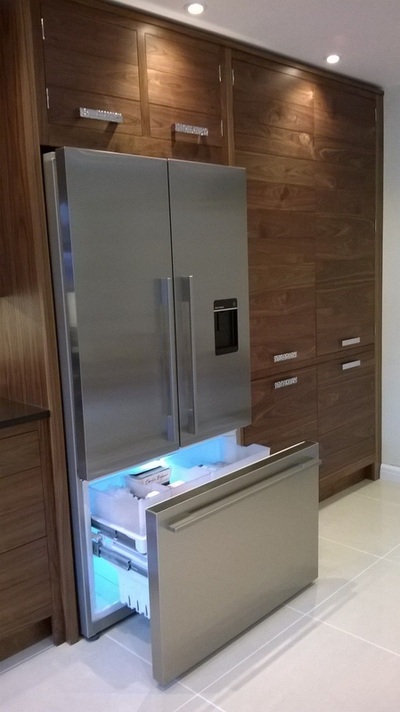 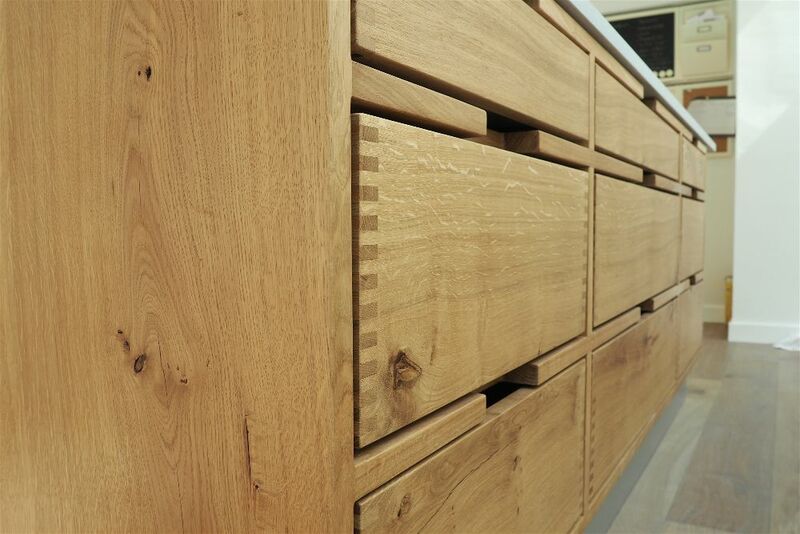 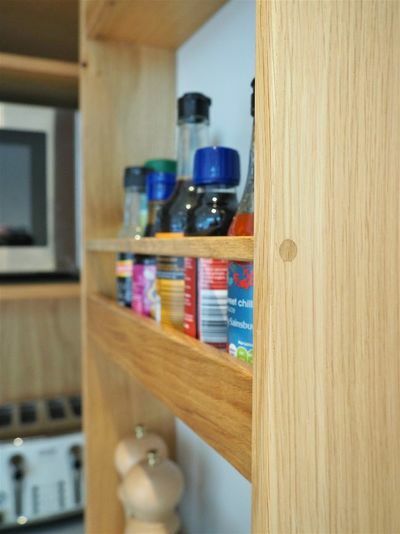 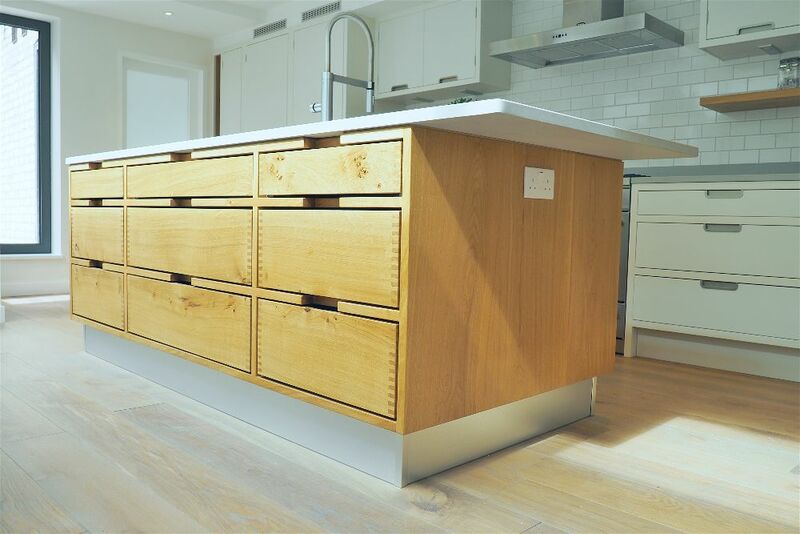 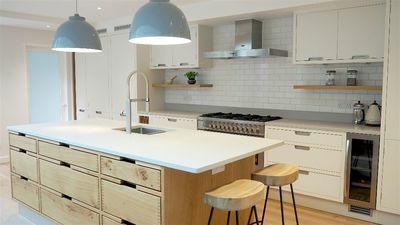 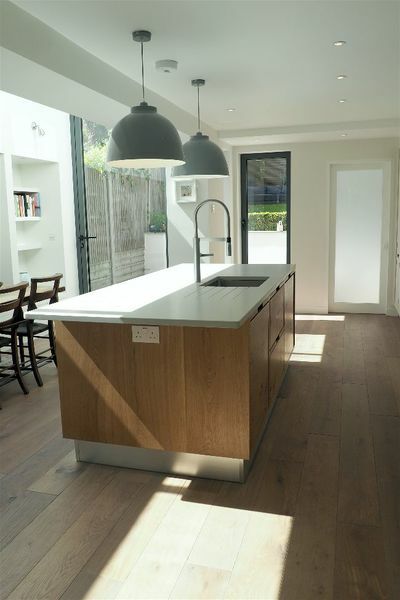 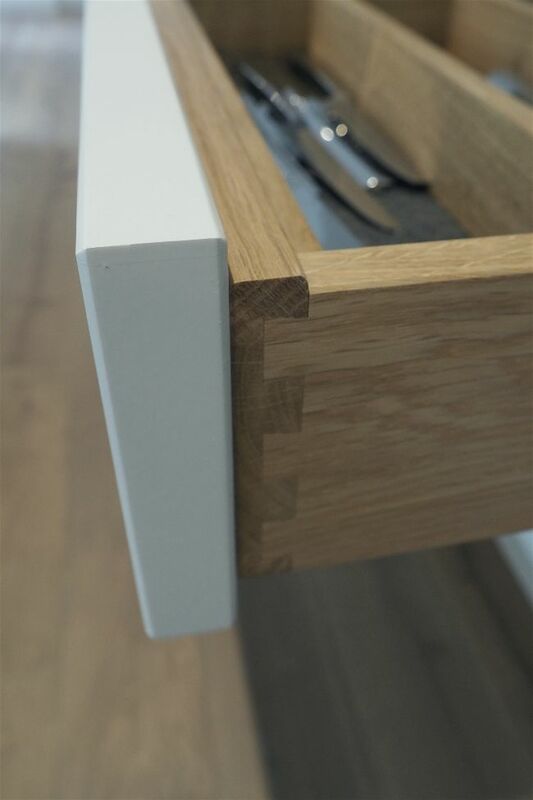 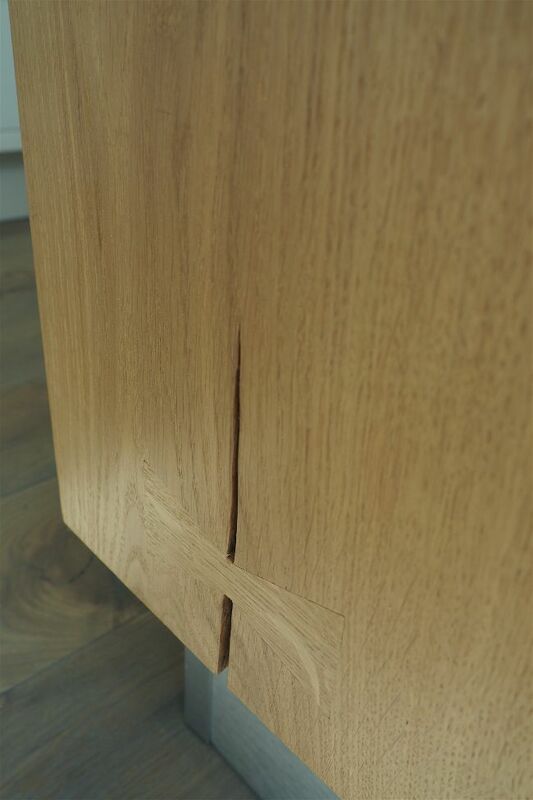 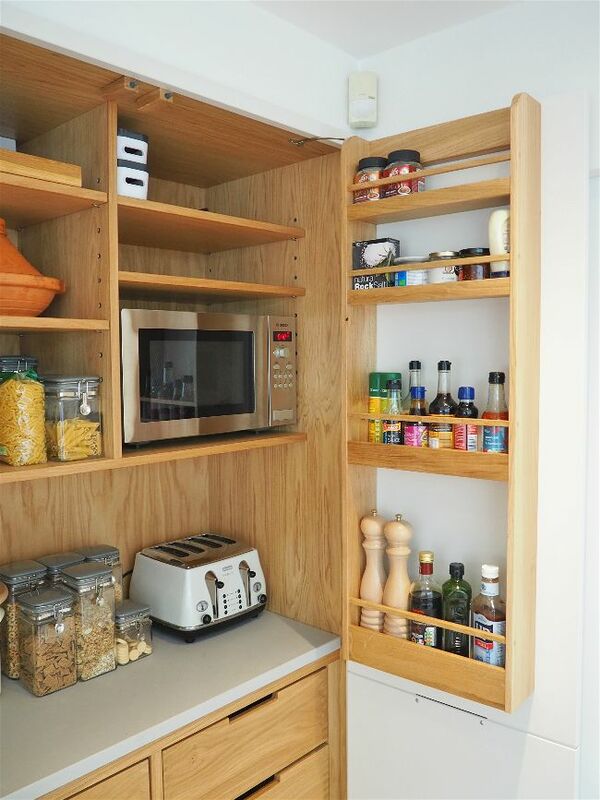 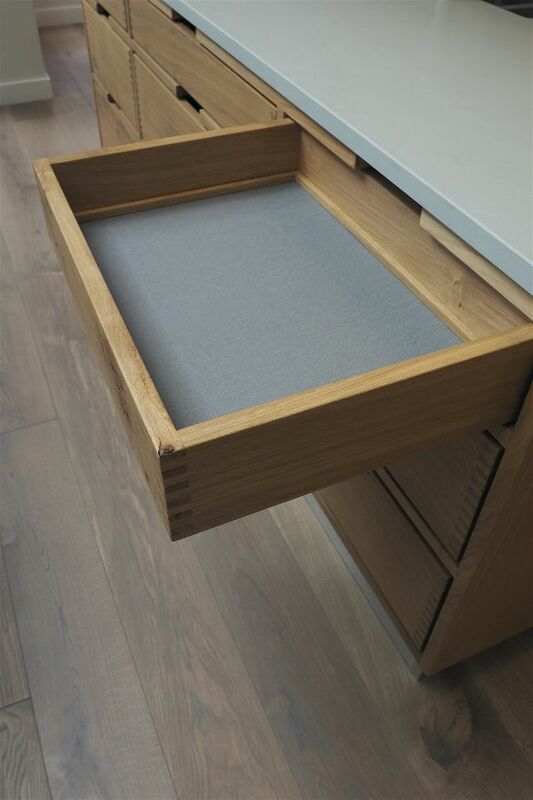 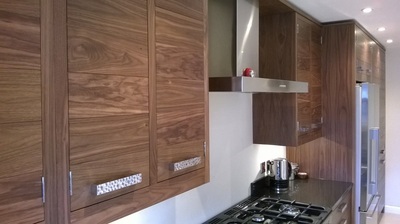 Although we specialise in handleless kitchens, as a bespoke manufacturer we can actually produce anything you like. 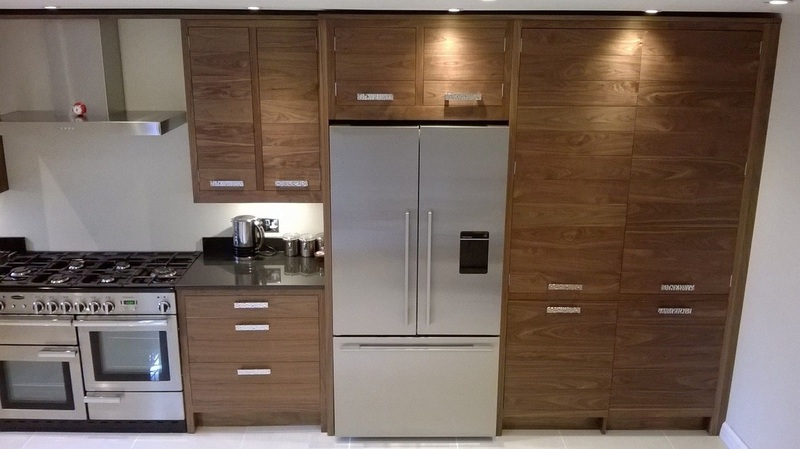 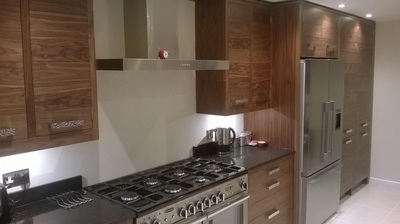 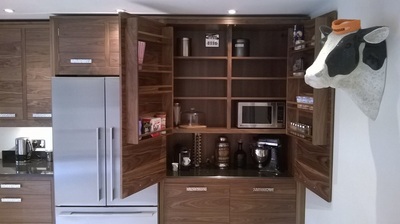 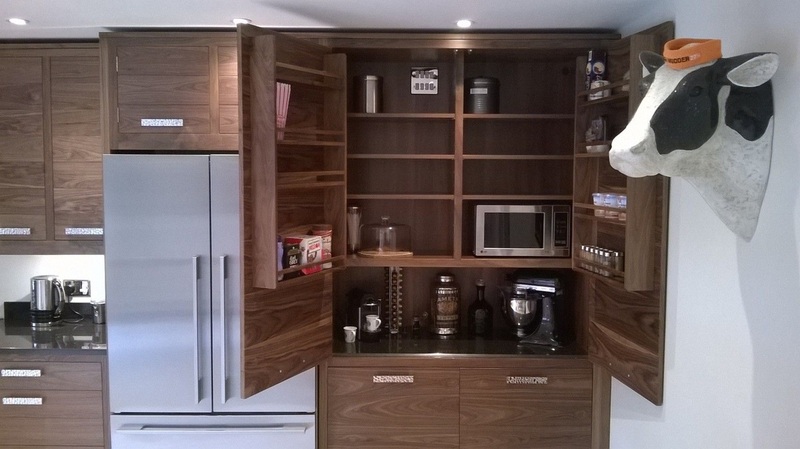 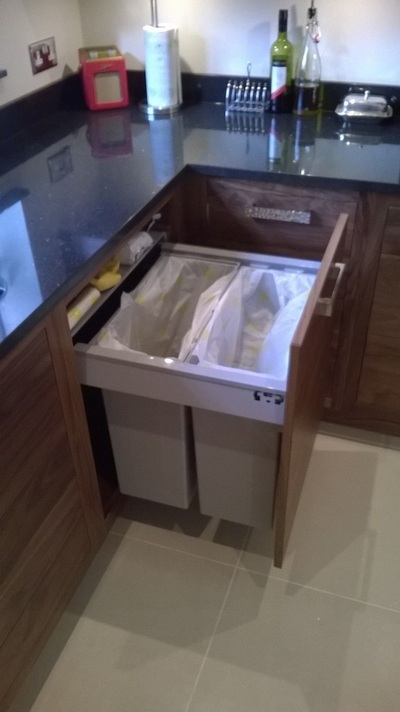 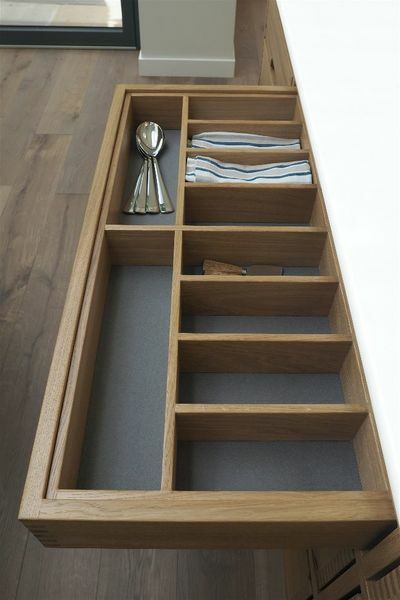 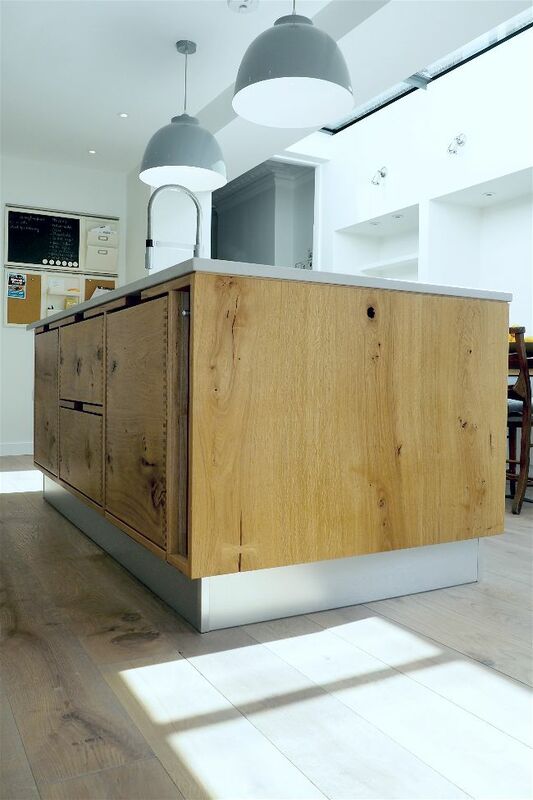 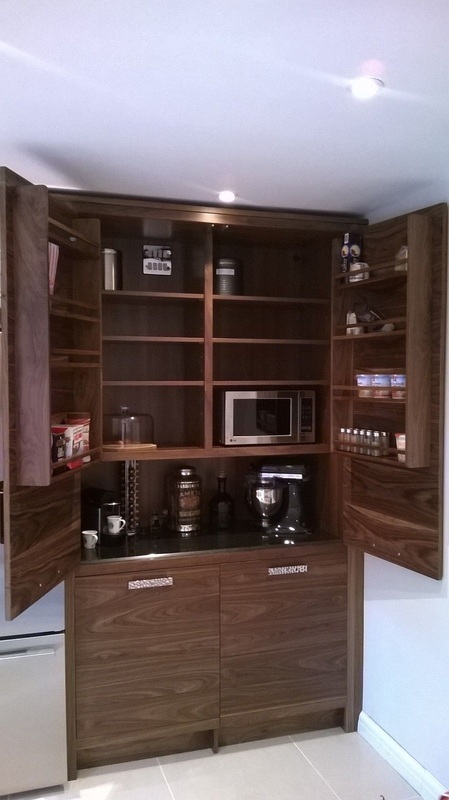 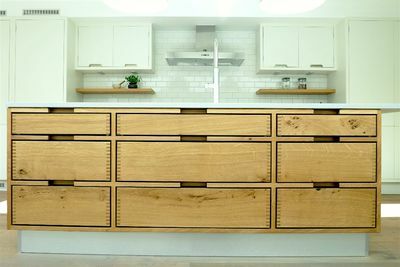 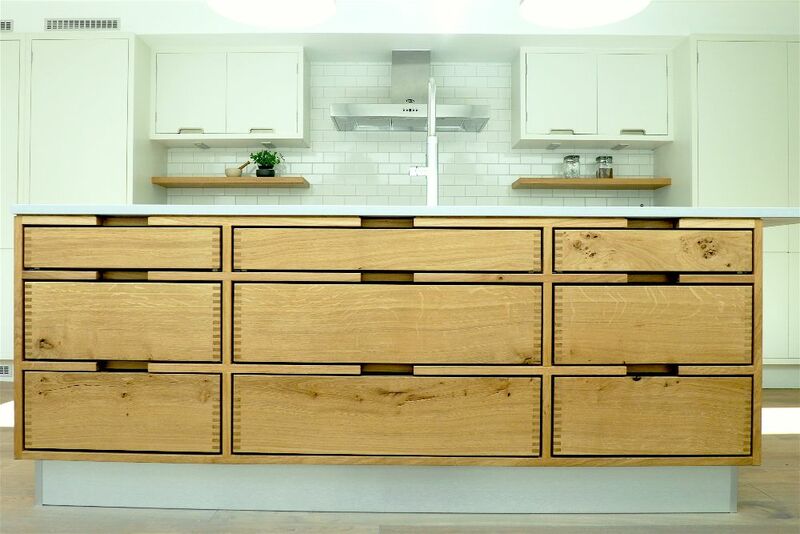 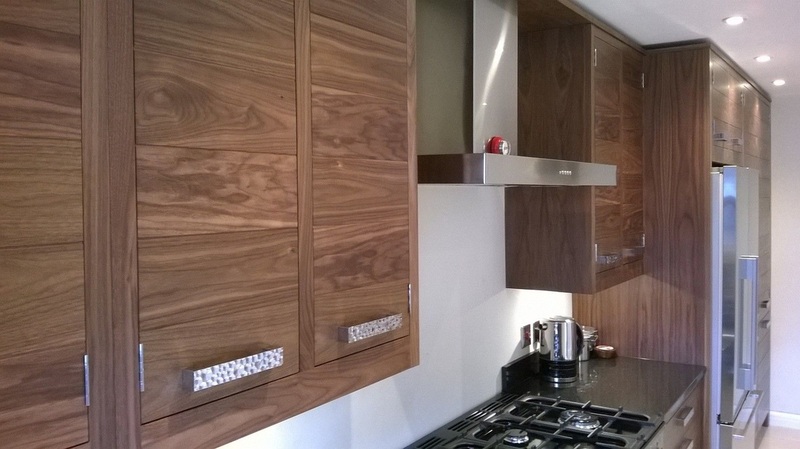 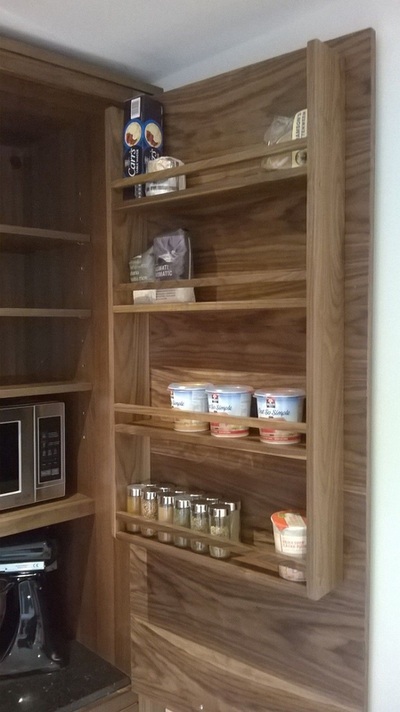 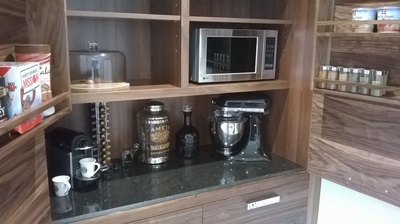 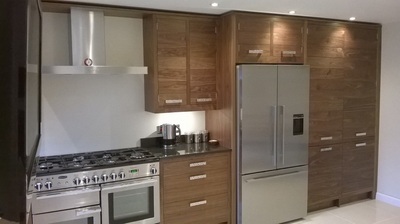 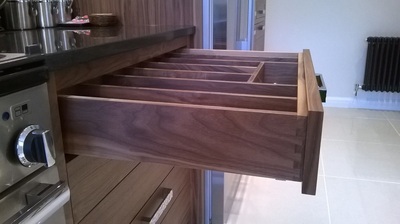 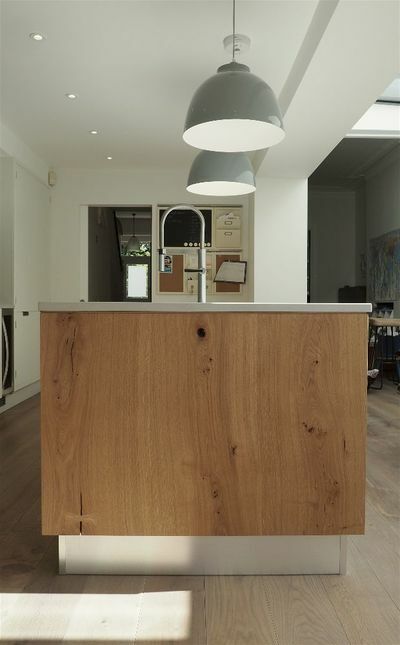 Here is an example of a in-frame bespoke slatted walnut kitchen. 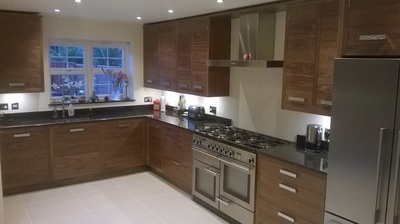 This was a fantastic project to work on. Out client had a good size kitchen but wanted to take out the utility room and include its facilities within the main kitchen. 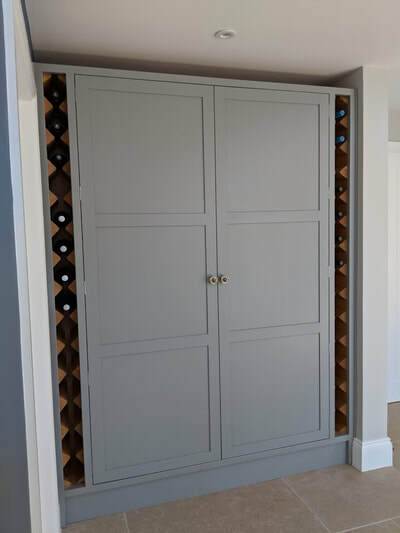 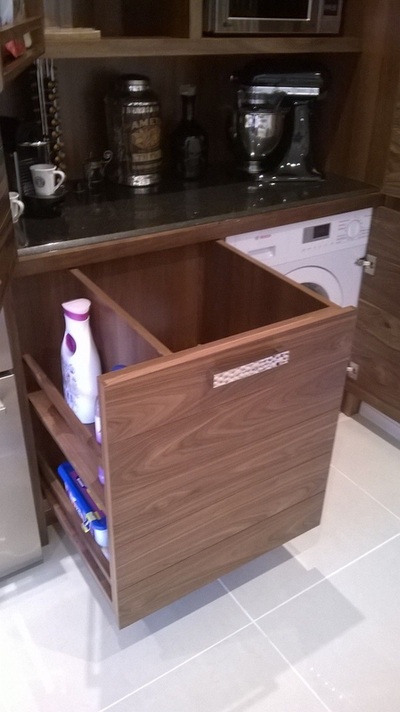 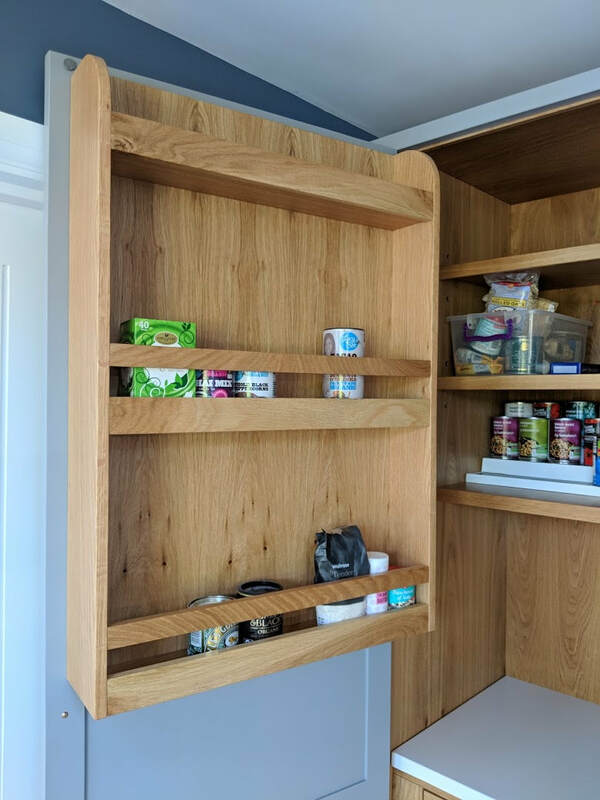 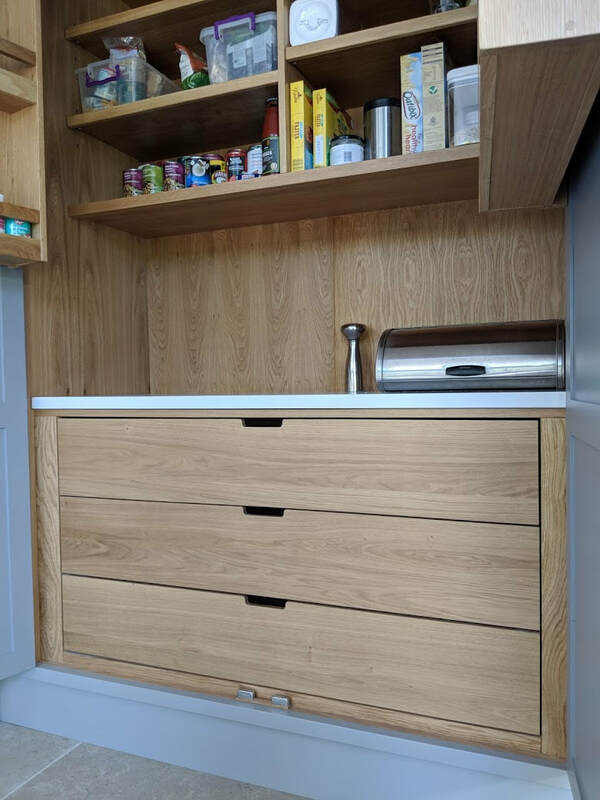 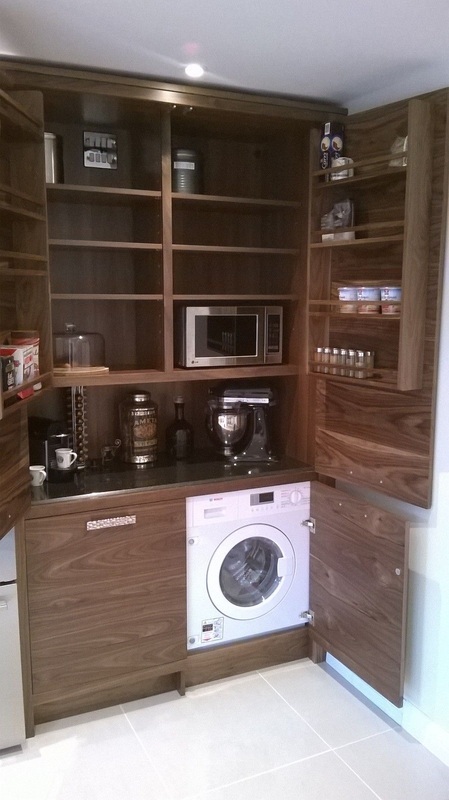 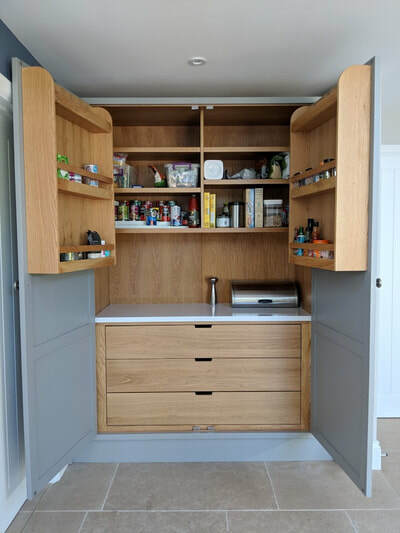 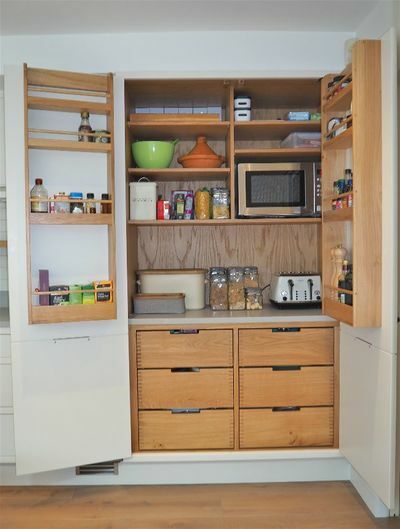 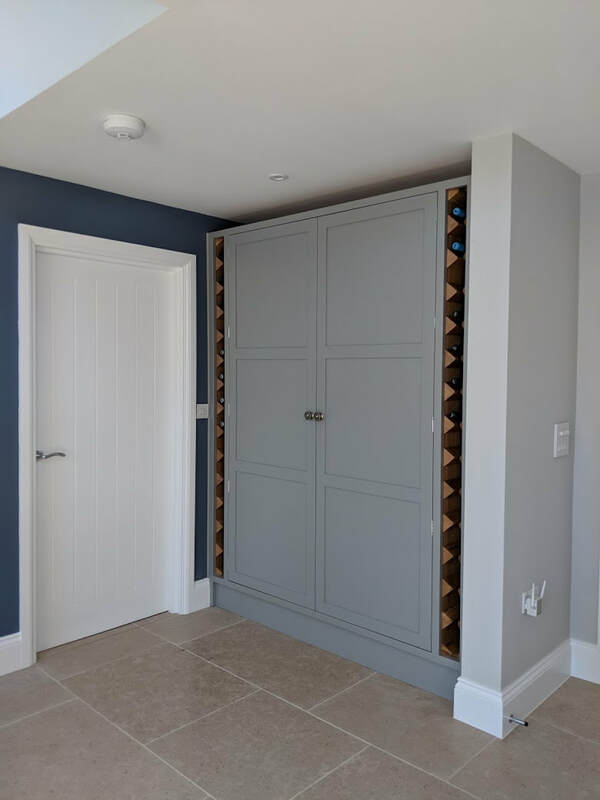 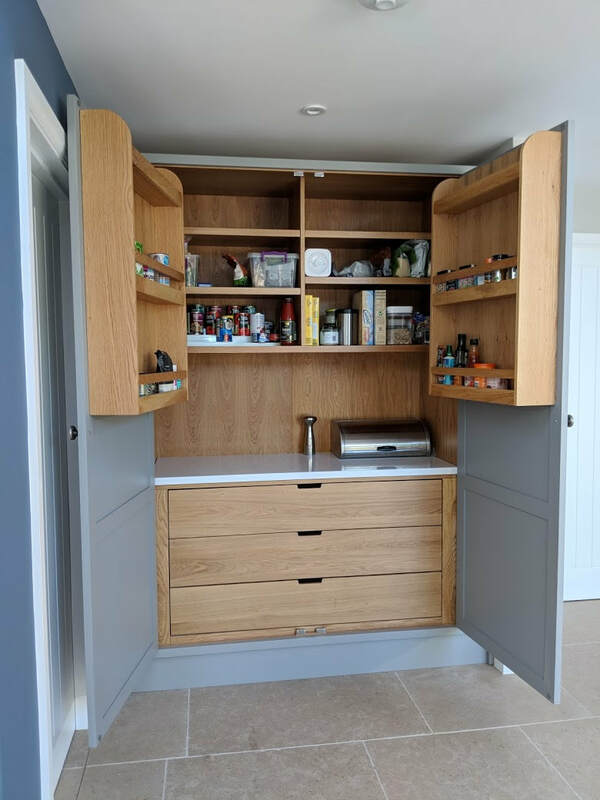 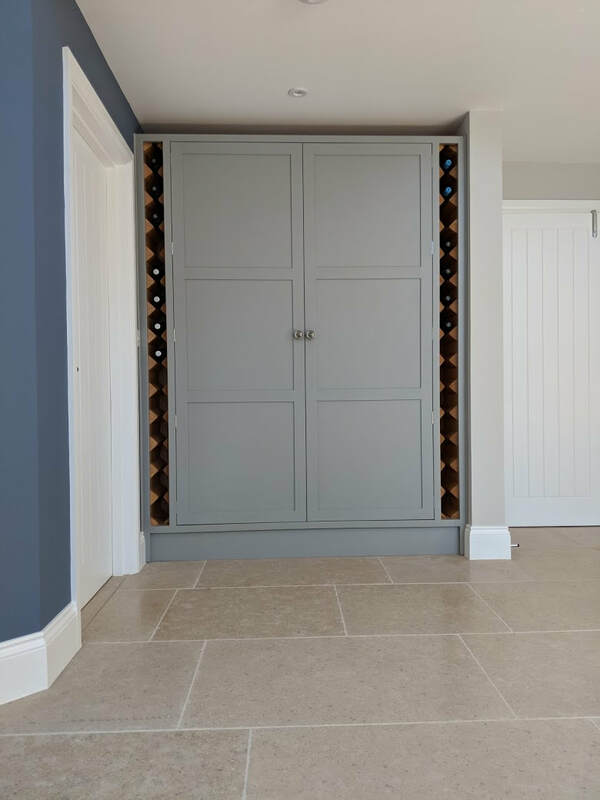 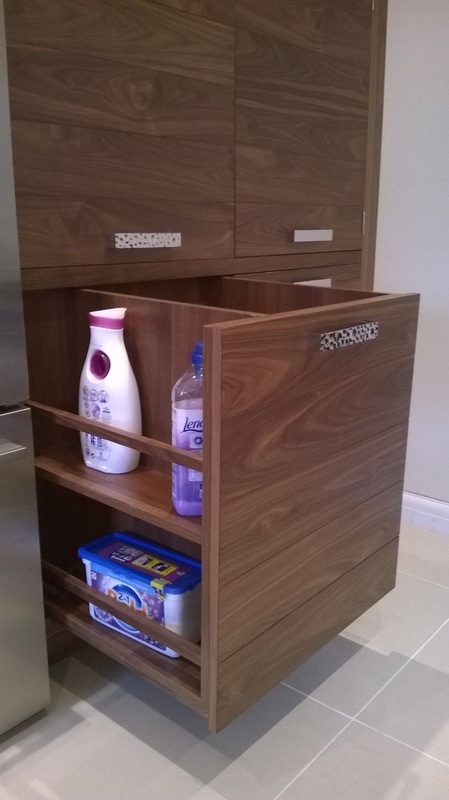 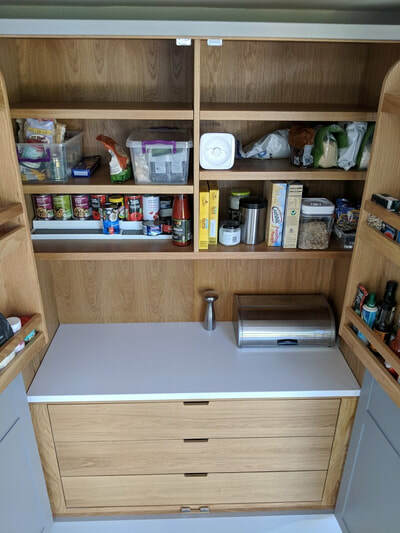 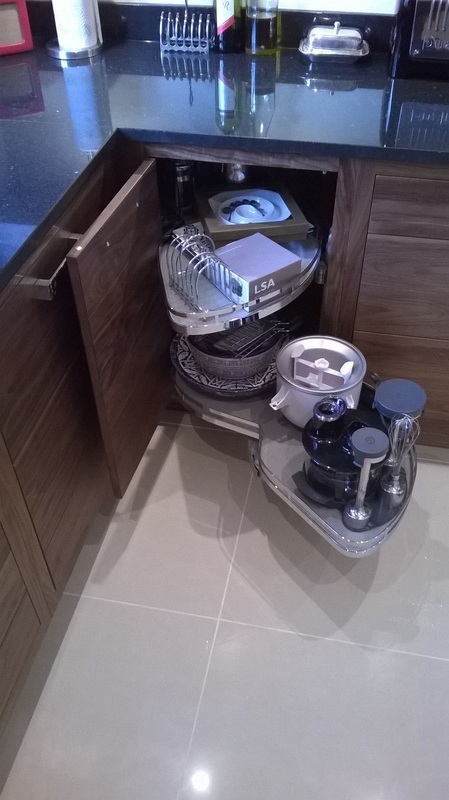 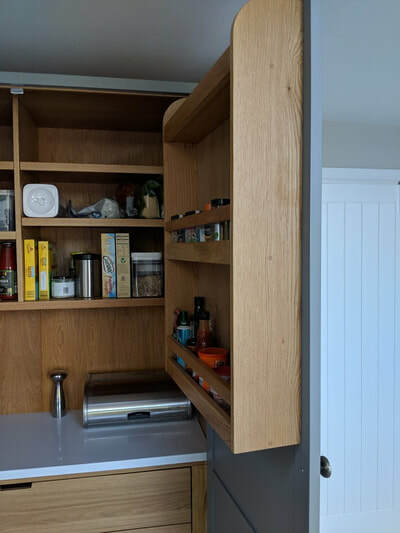 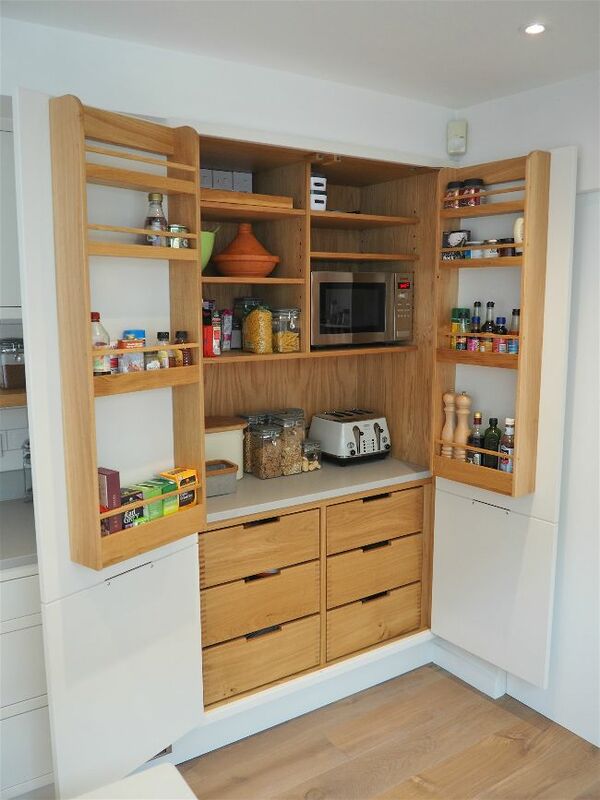 We came up with a beautiful feature of a pantry which seamlessly conceals a washer dryer as well as pullout laundry basket, complete with detergent storage. 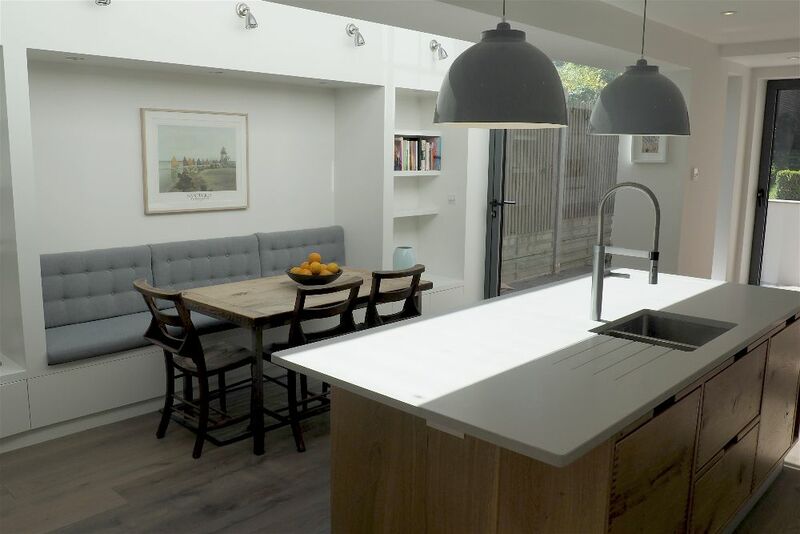 The room is now big enough to be used as the socialising hub of the house, which now includes an 8 seater table and a bespoke sofa. 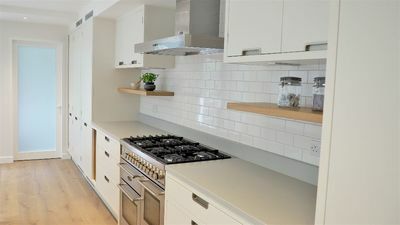 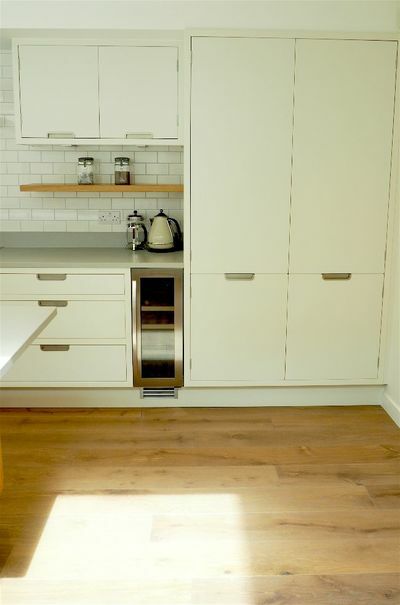 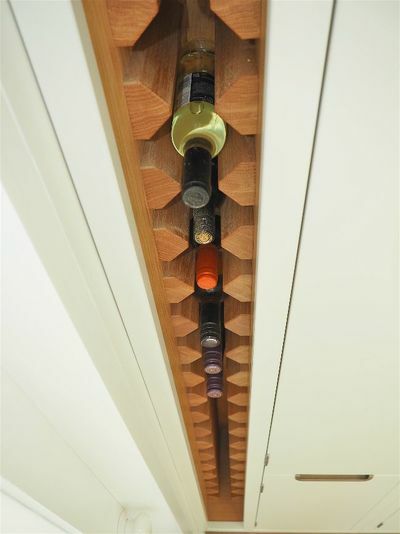 We also provide a painting service, so the kitchen cabinetry can be any colour you like.